Risques pour la santé des ondes électromagnétiques - Les dangers de la téléphonie sans fil et des antennes relais - Électrosmog. WASHINGTON, D.C. –- Environmental Working Group’s (EWG) research team has assembled the most comprehensive online consumer guide ever to cell phone radiation, rating more than 1,000 cell phones marketed in the U.S.
EWG has compiled the guide, based on technical data provided by manufacturers, to fill the information gap left by the U.S. government’s failure to require cell phone makers and vendors to disclose emissions levels on labels or in-store advertising displays. Better consumer information is vital. Recent scientific studies have produced evidence linking brain and salivary gland tumors to cell phone use. The state of the science, while far from definitive, is provocative and troubling and requires more research. Public health officials’ concerns about the possible dangers of radiofrequency emissions are intensifying as wireless devices proliferate. According to the CTIA Wireless Association, an international industry group, U.S. wireless subscribers numbered 270.3 million -- 87 percent of Americans -- as of December 2008, a 30 percent jump in three years. 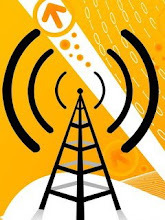 Some 60 percent of the global population -- 4 billion people -- subscribe to wireless services, according to Cellular News, an online global industry news outlet. Health agencies in six nations -- Switzerland, Germany, Israel, France, the United Kingdom, and Finland -- have issued warnings to limit cell phone use, particularly by children, whose softer, thinner skulls are less able to shield the brain from radiation. Scientists have found that children's brains absorb twice as much cell phone radiation as those of adults. EWG’s analysis of possible public health risks of cell phone radiation culminates a 10-month investigation of more than 200 peer-reviewed studies, government advisories and industry documents. Our conclusion: current U.S. cell phone radiation standards, set by the U.S. Federal Communications Commission (FCC) and based largely on 1992 cell phone industry recommendations, are outdated and allow 20 times more radiation to penetrate the head than the rest of the body. EWG urges the FCC to upgrade its standards to take account of the newest scientific evidence and also increasing cell phone use by children. According to the Pew Internet and American Life Project, which tracks cell phone use among U.S. children between 12 and 17 years old, last year (2008) 71 percent of tweens and teens owned cell phones. More than half use the device daily. EWG urges concerned consumers to take action and tell the federal government that cell phone makers should be required to disclose each phone’s radiation output on the label. Use headsets and the speakerphone option if available. Stay off the phone when few bars indicate a weak signal. EWG’s new interactive database, based on technical specifications of cell phones currently on the market and some popular older models, can be searched by model. A separate database details radiation levels of smart phones. EWG is a nonprofit research organization headquartered in Washington, DC, with offices in Oakland, Ca. and Aimes, IA, that uses the power of information to protect human health and the environment. Les Hots Spots de Montréal ! En ville, nous vivons dans un brouillard d'ondes électromagnétiques qui nous irradient à petit feu. Voici un recensement des points les plus chauds de Montréal. Le cellulaire est-il la cigarette de l’an 2000 ?